In the last 117 years, Australia has seen two World Wars, the Great Depression, the introduction of the motor car, 30 Prime Ministers, and every year, Washington H Soul Pattinson (SOL) has paid a dividend. 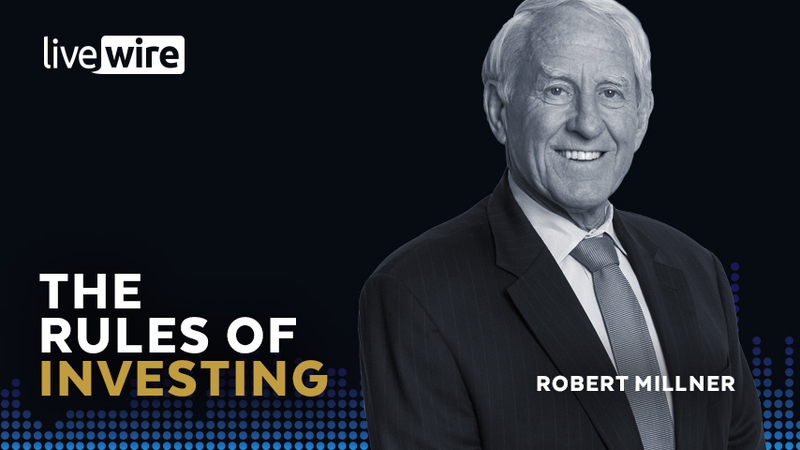 In this week's episode of The Rules of Investing, I sit down with Robert Millner, the longstanding Chairman of SOL. While SOL started life as a pharmaceuticals business, today it's a cornerstone shareholder in TPG Telecom, Brickworks, New Hope Corporation, and dozens of smaller companies. Over the last 40 years, total shareholder returns have compounded at a rate of 17.3%. This is a record that rivals that of some of the most well-known investors globally. Tune in below to hear his view on the future of coal and agriculture in Australia, why he's not interested in buying banks at current levels, and what he thinks has been the key to Soul Patts' success. Robert Miller from NAOS Asset Management recently provided his own take on the contents of this podcast, which you can read here. 9:12 - Australia's part to play in "feeding the world"
28:41 - Is it time to get back in the banks? Great interview. What stood out for me is that Millner advocates holding cash and being patient - this is completely at odds with so much of the investment theory that we hear and read. A great example of long term thinking. My problem with Soul Patt's is not the performance, which has been great, but the investment mix. Just cannot invest, even indirectly in coal mines. It's a moral issue. Thanks for the interview. We own Soul Patt's and have so for a few years. I originally bought them for a lot of the reasons that were talked about in this interview, but I still learnt a lot more about Soul & Robert Millner, about the way he invests and management style. I wish both sides of politics could listen to this interview and learn from it, especially from minute 32. Hi Selwyn, thanks for your comment. Firstly, I just wanted to address that I'm not a journalist. The aim of the podcast is not to be journalistic in nature, I think there are plenty of excellent journalists out there already doing that. The podcast aims to tell stories and to educate. I recently published a podcast called "The hottest investment theme on Earth" that discussed the issue of climate change extensively, and we discussed the cost of renewable energy vs other forms in that podcast. All that being said, I do think the issue of the cost of different forms of energy is an incredibly complex one, and frankly, one I haven't been able to get to the bottom of. The nuclear experts claim that nuclear is cheapest, wind and solar proponents claim that renewables are cheapest, and the fossil fuel industry generally disagrees with both of them. They've all got plenty of charts and data to back up their claims. Personally, I tend to agree that renewable is the way of the future and wind is probably the cheapest form of energy on an un-subsidised basis with all negative externalities included. But the podcast isn't about me telling my stories and sharing my own points of view, it's about giving the guests the chance to tell and share theirs. Thanks for the interview Patrick, as I was considering an investment in Soul Patt's, but had been held back by their coal investment. I was hoping to hear that they anticipated the need for change but could still see value over the next few years. Now I realize that he is clueless in regard to the need for change, and so highly doubt that they are valuing that investment correctly. Very informative chat with Rob Millner, great to hear his philosophy on investing. There are striking similarities between Buffett/Munger and Rob's investment philosophy, very independent thinker, counter cyclical and patient. Thanks Patrick.